Sorry, Audi – it looks like you won’t be the only German competing in Formula E. BMW just announced its intention to enter the eco-friendly series as a manufacturer for 2018, the series’ fifth season. For fans of the sport, this shouldn’t come as a complete surprise – BMW has participated in the series as a technical partner with Andretti Racing since the beginning of season two back in 2015. Now, BMW announced plans to take over Andretti’s Formula E efforts, resulting in full manufacturer status and a works BMW team. The team changes will come into full effect for the fifth season, beginning in 2018 and running through 2019. As automakers continue to push electrified and electric powertrains in their production cars, Formula E is beginning to make sense for more manufacturers. The Formula E cars serve as testbeds for future performance electric cars, especially for BMW, which continues to develop its “i” sub-brand. 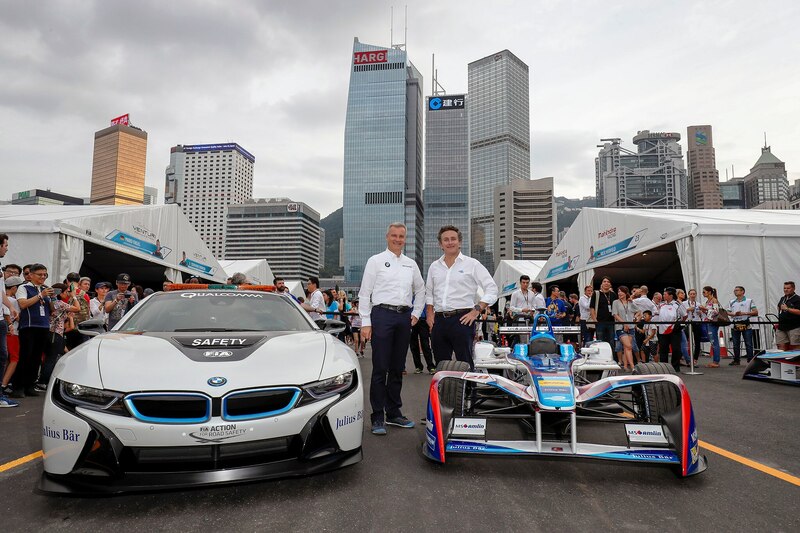 “Formula E has developed fantastically as a racing series and, as a new, technology-based project, is perfectly suited to the BMW Group and BMW Motorsport,” said BMW motorsport head Jens Marquardt. If the current field of Formula E remains, BMW will join Audi, Jaguar, Renault, Mahindra, and Citroen on the quiet, efficient race grid.